Edge Electric has been servicing the Electrical Installation and Repair needs of Mustang OK for since 1996. Call us now at: 405-691-3343 or check out the reviews and testimonials from your neighbors, that make us the top rated service provider in Mustang OK. Assisted our electrician with trouble shooting a power loss to a well house. Replaced a bad breaker to fix the power loss. If you need an electrician call Edge Electric for your appointment with a licensed experienced electrician. Edge Electric is locally owned and has been serving the OKC metro and surrounding cities of Mustang, Norman and Moore for over 20 years. Residential electrical repair. Trouble shooting power loss to well house. Replaced bad breaker. If you need an electrician call Edge Electric. Licensed electrician available for emergency electrical repairs. Power supply project. Customer wants to run an underground power line from his house to his shop. 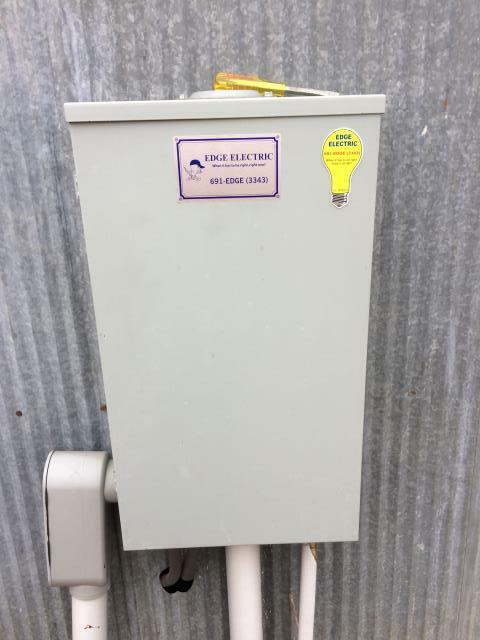 If you have an electrical project call us today. House's entire electrical system damaged by lighting strike. The electric panel and several circuits need to be replaced. The customer lost a television and small appliances due to the power surge. An Eaton Whole House Surge protector will protect an electric system from lighting strikes and power surges. Call us today to set appointment with on of our electricians for your electrical repair! Residential electrical repair. Trouble shoot and power loss to A/C. Replaced bad breaker. Residential electric repair. Breaker tripped, when customer flipped breaker it sparked and lost power to hot water tank. 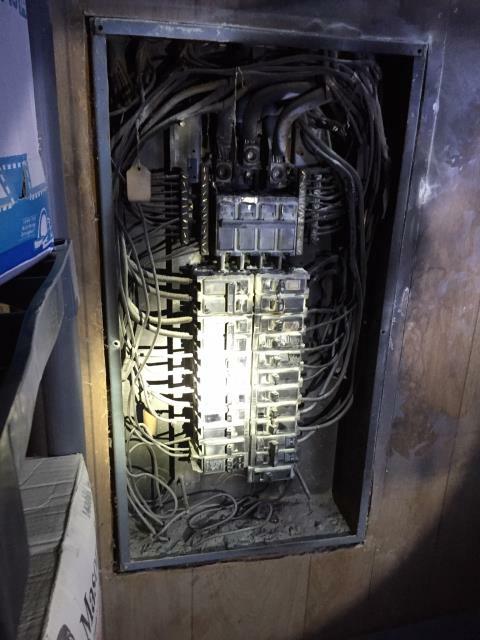 Inspected electric panel, found burned wiring and breaker burned out. Panel replacement and upgrade. I am at a residential customer's home who needs an electrician to install under cabinet lighting. I am at a residential customer's home who had an electrical fire this Sunday. I had done a small job for them last year and had inspected their breaker box and advised them the 40 year old box was in need of replacement. Sunday evening the customer was standing in the garage next to the box when it caught fire. He was able to get the fire out and the damage was contained to the garage. He said when I arrived you told me it was only a matter of time before this happened. 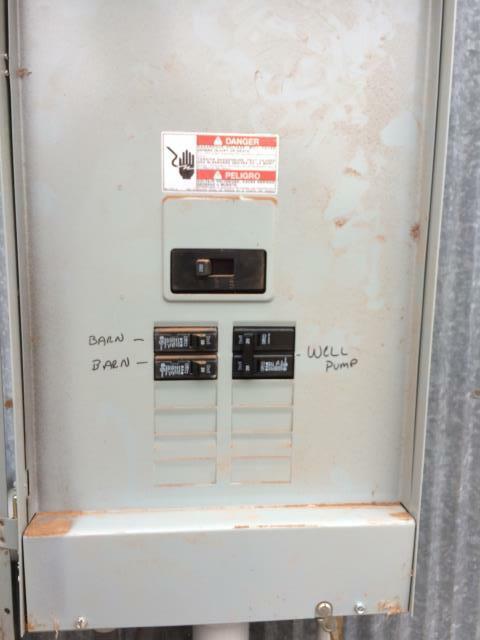 I did a replacement and upgraded their service to a 200 AMP panel. Today we are doing some finishing touches to the grounding and other small items. I am at a residential customer's home to trouble shoot a partial power loss in their kitchen. Their dishwasher and garbage disposal are not working. I replaced 2 bad plugs in the kitchen to resolve the problem. I also installed an Eaton Whole House Surge Protector for this customer. I am troubleshooting power loss for bedroom lights for residential customer. Rewiring ceiling fan and installing smoke detector for residential customer.